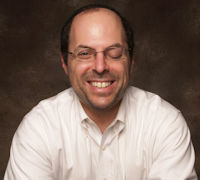 An NYU School of Law graduate, Joshua has been practicing as a litigator for over twenty five years. Joshua has published regularly on legal marketing topics in numerous law-related periodicals, and presented on legal marketing technologies to various bar and legal marketing associations. Mr. Fruchter is a recognized voice in litigation commentary, who has discussed issues ranging from Daubert analyses and inventor testimony in patent litigation, to predictive coding in document reviews.